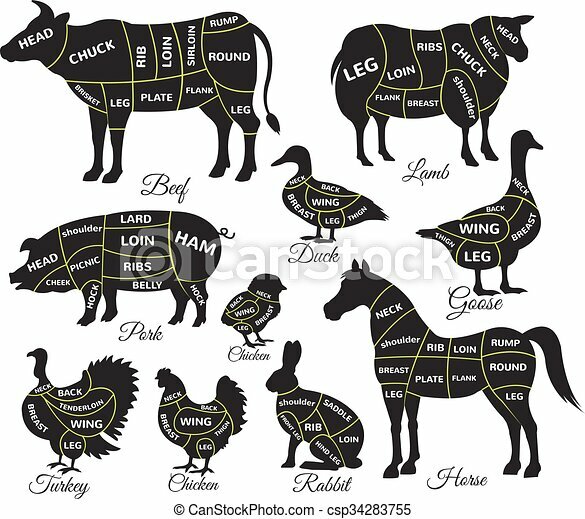 Diagram guide for cutting meat. vector black icon illustration set. 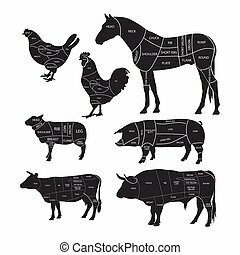 Monochrome diagram guide for cutting meat. 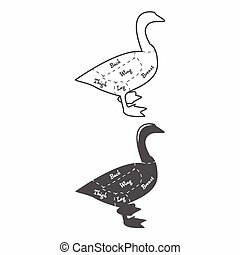 Animal silhouettes with cut lines. 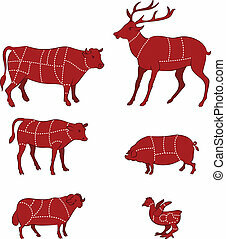 Beef, horse meat, lamb, pork and chicken. Vector illustration. 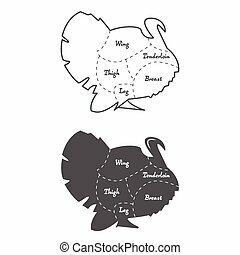 Cut of meat, diagram for butcher. 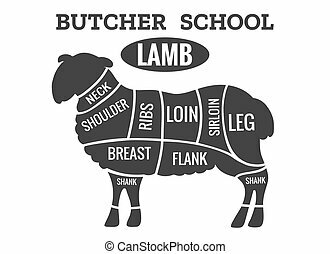 Poster for butcher shop. Guide for cutting. Vector illustration. 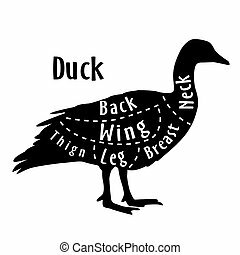 Cut of duck, diagram for butcher. Poster for butcher shop. 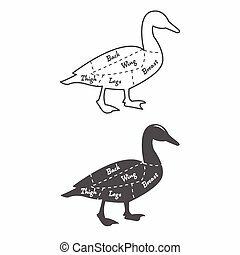 Guide for cutting. Vector illustration. 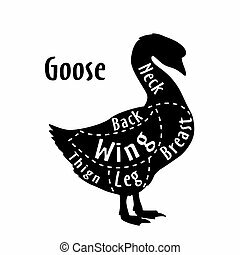 Cut of goose, diagram for butcher. Poster for butcher shop. Guide for cutting. Vector illustration. 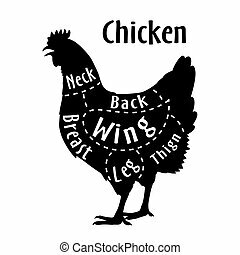 Cut of chicken, diagram for butcher. Poster for butcher shop. Guide for cutting. Vector illustration. 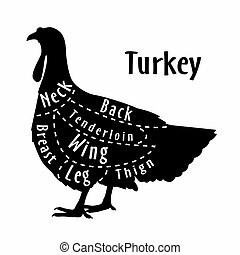 Cut of turkey, diagram for butcher. 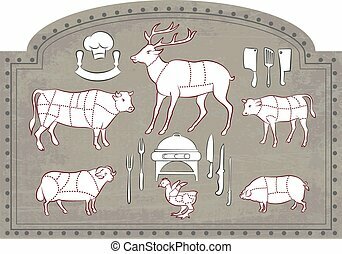 Poster for butcher shop. Guide for cutting. Vector illustration. 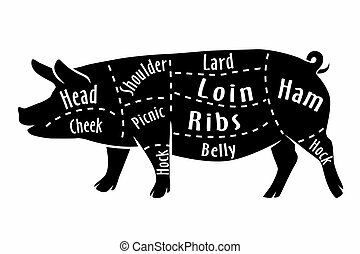 Cut of pork, diagram for butcher. Poster for butcher shop. Guide for cutting. Vector illustration. 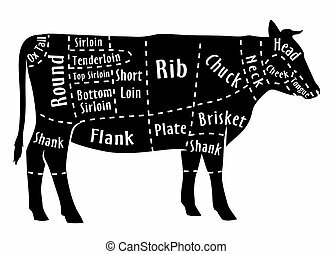 Cut of beef, diagram for butcher. 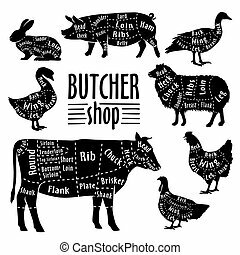 Poster for butcher shop. 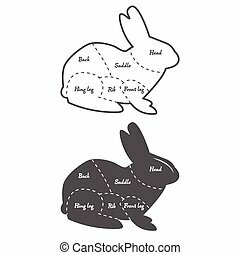 Guide for cutting. Vector illustration.